It is not uncommon for a Christian to want to accomplish great things for God. And so, in our zeal and passion for him, we set out to do just that. While there is certainly nothing wrong with such a mission, many Christians are faulty in the way to go about it. Too many set out with a zeal to accomplish something great for God without first submitting themselves to be the type of vessel through which God can do something great. There is a great difference in wanting to be used and wanting to be usable. One relies on self: talent, title, personal strengths. The other relies on Almighty God. And as talented as a person may be, his or her gifts pale in comparison to the power of God and what he could do through them, if they would only submit to him and his ways. The world needs more people through whom God can pour himself. Churches need men and women who are willing to trust in God and be greatly used of him. Homes need fathers and mothers who rely more heavily on the power of God to sustain them than they do their own muster. Our generation needs people who will wait on God to make them usable before setting out to accomplish greatness in their own strength. 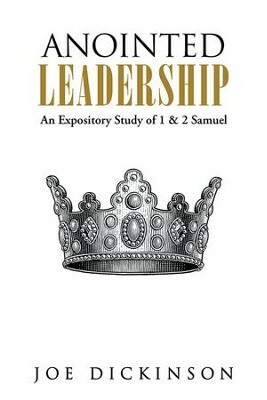 I'm the author/artist and I want to review Anointed Leadership: An Expository Study of 1 & 2 Samuel - eBook.